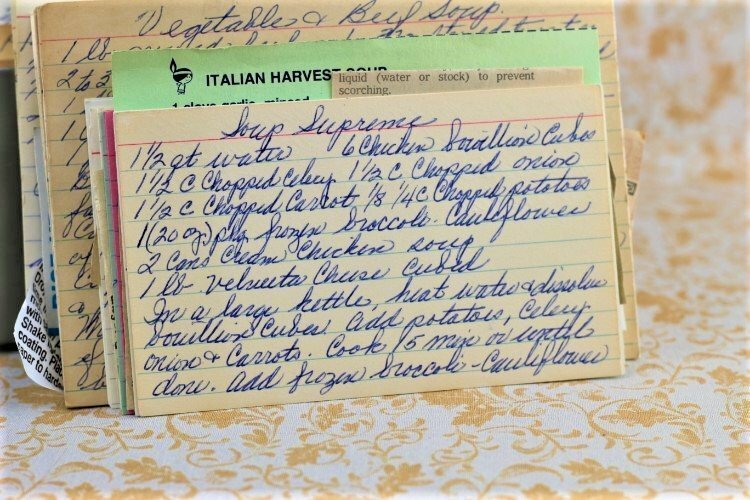 Front of the recipe card for Soup Supreme. Back of the recipe card for Soup Supreme. 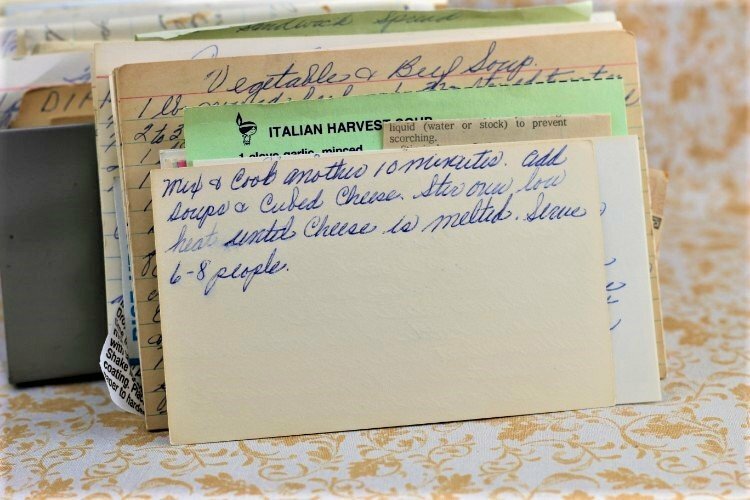 There are lots of fun recipes to read in the box this recipe for Soup Supreme was with. Use the links below to view other recipes similar to this Soup Supreme recipe. 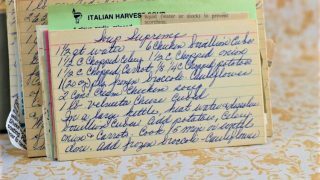 If you make this Soup Supreme recipe, please share your photos and comments below! In a large kettle, heat wter & dissolve bouillon cubes. Add potatoes, celery, onion & carrots. Cook 15 min or until done. Mix & cook another 10 minutes. Add soups & cubed cheese. Stir over low heat until cheese is melted.